A recommendation from the town’s Parks and Recreation Advisory Board is gaining traction with the Town Council—and that’s good news for cycling enthusiasts. Council last week discussed a proposal to build a bike park and pump track on a vacant portion of the 41-acre Basham Simms Wastewater Facility property off Telegraph Springs Road. The entire project could be completed by 2021 and would cost nearly $650,000. According to a staff report, the bike park could give residents a means to improve their physical and mental health, in addition to bringing in visitors from neighboring communities who might support town businesses. The advisory board has determined that the project could be developed in three phases over three years. The first phase could begin in fiscal year 2019, cost about $46,000 and encompass the zoning and planning process. Phase two could begin in fiscal year 2020, cost about $261,000 and see the construction of the trail, a half-acre youth park and a parking lot. The final phase could begin in fiscal year 2021, cost about $338,000 and include the construction of a 1.5-acre park. The board will be looking to establish partnerships to help fund phases two and three. While both parks would be located in an unused six-acre field, two different trail options are being considered. One would extend 1,442 feet along the side of Telegraph Springs Road, while the other would extend 1,649 feet and curve behind the facility near the Hirst Farm neighborhood. Both would have trailheads at the West A Street/Telegraph Springs Road intersection. A pump track is an off-road course for bicycles featuring banked turns designed to allow the circuit to be completed by the momentum of riders’ up and down body movements, rather than pedaling. A survey conducted in December by the International Mountain Bicycling Association among 138 people in the region found that almost 90 percent of respondents would use the bike park from 1 to 10 times a month. All respondents indicated they would plan to visit businesses in the town during their trips to the park. This isn’t the first time a park of this sort has been proposed in town. 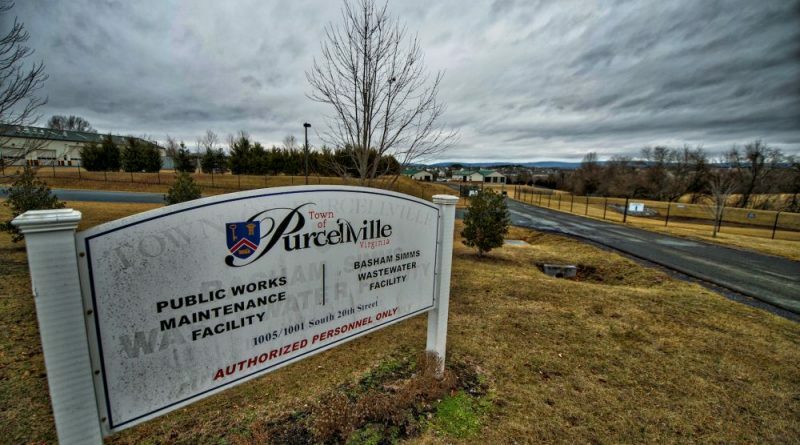 From 2011 to 2012, a group called the Purcellville Skate Project worked to get a skate park built at the corner of Hirst road and Rt. 287. Once the responsibility of handling the planning and funding got too complex, however, the group’s volunteers lost control of the project. “Things kind of fell by the wayside,” said Dave Levinson, the group’s former president. Levinson has recently been working with the board on a concept to possibly add a skate park element to the proposed bike park. Just last month, teen resident Muka Nyamuhindu told town council that he has nowhere to go for active or social recreation. Although no action was taken at last week’s meeting, the council decided to bring the park plan back up for discussion during its work on the Capital Improvement Plan, which begins Wednesday. By that point, Zoning Administrator Patrick Sullivan will confirm how the zoning process should be handled. “We’re not saying no to this idea,” Mayor Kwasi Fraser said. Let’s do this! Giving kids (and adults) another great recreation option would be a fantastic addition to the town. Very confusing. We didn’t want to put the burden of paying for Fireman Field on the tax payer because not everyone in town uses it. But a bike park is different…? What is the number of visitors fireman fields gets per year and what is the BEST expectation a bike park would get… can’t even be close.